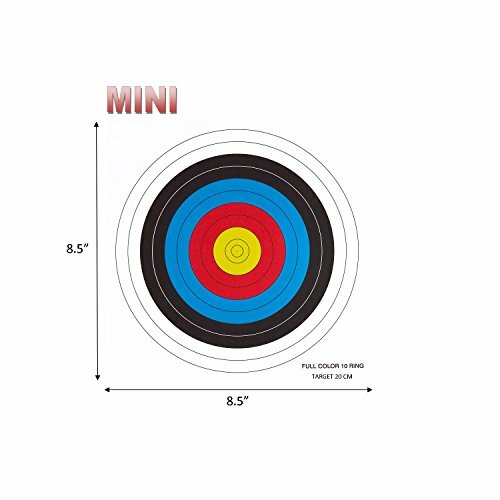 Mini 10 ring paper targets measuring 8.5" x 8.5". Great for all shooters. Allows everyone to have fun.